As soon as the weather warms, we start to see more snakes out and about. This coincides with us letting our pets outside more as well as taking out our pets for bush walks, jaunts to the park and spending time at the beach. 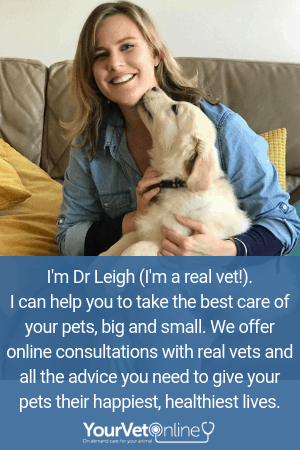 The following article is written by Dr Belinda Beynon of Serpentine Veterinary Hospital in Perth (with a small amount of creative editing by Dr Leigh to make it applicable to a broader audience). It describes her personal approach to snake bites in Perth, Australia, although the concepts can be applied all over Australia. 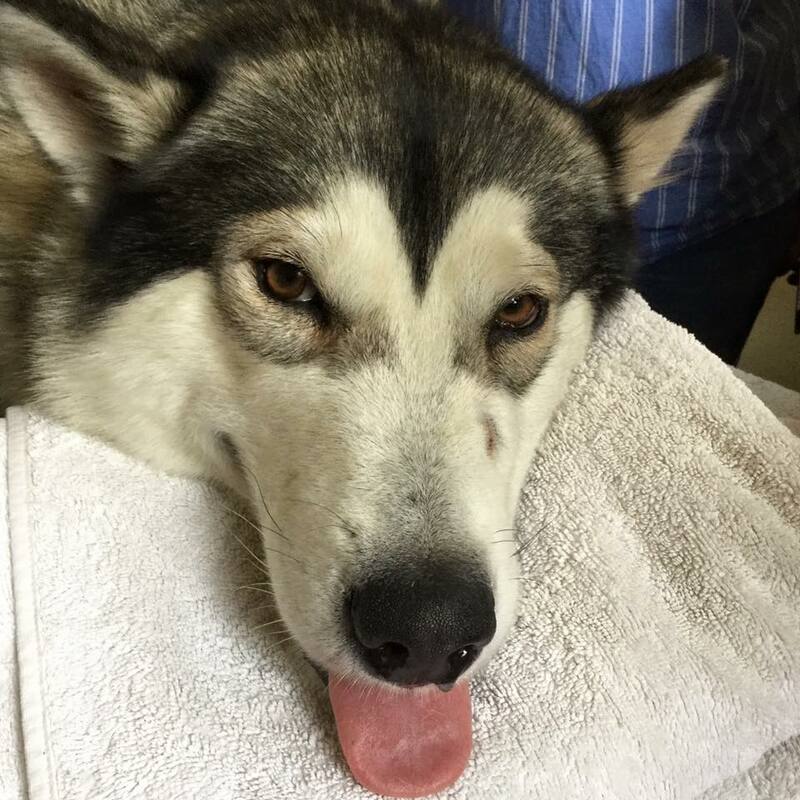 This dog has received a snake bite and has a paralysed tongue as a result. Hi all, this is a summary of the way I, personally, approach dogs who have, or who MAY have been bitten by a snake. I am not saying it is the only way or the right way, but it’s what I do, and it’s based on my years in Emergency at Murdoch University and tempered with working in the real world without all the machines that go ping. The pictures on this page are of a patient I looked after recently. The picture above shows her after treatment with antivenom, and after her breathing tube was removed. You can see her tongue still isn’t working, and in her case, you can see the strike location on her muzzle. It’s very uncommon to find the strike location. The picture below shows her while we were still assisting her breathing with a tube still in her trachea (windpipe). Dog on a ventilator to assist with breathing. Here we can see the strike location of the snake bite on the muzzle. In Perth and surrounds (where I live) we have a multitude of snakes, many of whom are not at all venomous to us or our pets. The main three who ARE venomous are Brown snakes (Dugites), Tiger Snakes and, in the Ranges, Death Adders. These snakes are found in other areas of Australia also. This chat will be about Brown Snakes and Tiger Snake, the most common venomous snakes I see. It is a fallacy that snake bite is something that only occurs in the semi-rural areas. Snakes are amazing at adapting to urban areas and can be found in most suburbs. According to the SnakeMap Project by the University of Melbourne, the vast majority of snake bites occur in people’s own backyards. Snakes are incredibly peaceful animals unless provoked. However, their definition of provocation is often very different to ours. Despite most opinions, snakes are not naturally aggressive but can become so if they believe they are under attack or cannot escape. Anecdotally, Tigers can be more aggressive than Browns, but this is a very subjective opinion. Snakes are protected by law in WA and it is illegal to kill them. Our pets don’t know this law, and they often have a jolly good attempt at either playing with, or killing a snake, and this is when they get bitten by a snake. Let’s stick to dogs for the moment. We can talk about cats later if the interest is there. They are a wee bit different. When a dog is struck by a snake it may either be non-envenomated (a dry strike) where the snake has struck and made contact but hasn’t released venom, it may have a ‘mild’ envenomation, where the sacs were low in quantity or quality venom, or it may receive a heavy envenomation. The key here is that NOT ALL BITES envenomate. Many vets believe this is where the myth about Vitamin C curing snake bite has come from (that a dog receives a dry bite, the owners give vitamin C and voila, the dog is better). It’s wrong. It doesn’t work. Science has proved it and people need to stop using it. What happens when a dog is bitten by a snake? The toxins in elapid snake venom (which is what Tigers and Browns are) are similar but different. Both have neurotoxins, which cause paralysis of the muscles via loss of nerve function. The victim dies of suffocation. They both have procoagulants, which cause the blood to start clotting microscopically throughout the body, using up all of the clotting factors, which then causes haemorrhage anywhere at all in the body (Brown snakes are worse for this). The patient dies of the bleeding…whether a massive blood loss (in the abdomen) or a smaller loss in a very unfortunate location (brain, heart sac, lungs etc). Tigers also have myolysins that act on muscle cells, to cause leakage of muscle proteins (myoglobin) into the blood and then urine via the kidneys. Tiger snake bites can cause a direct loss of smooth muscle function in a way that Brown snakes don’t seem to. If your dog vomits, passes diarrhoea, or collapses and then recovers after an interaction with a snake, then it has probably received a potentially FATAL dose of venom and needs urgent care. If your dog is seen with a snake but does not do any of these things, it still needs to be taken to a vet for monitoring, because even a low dose envenomation can still be fatal…..just less acutely and dramatically, if left untreated. 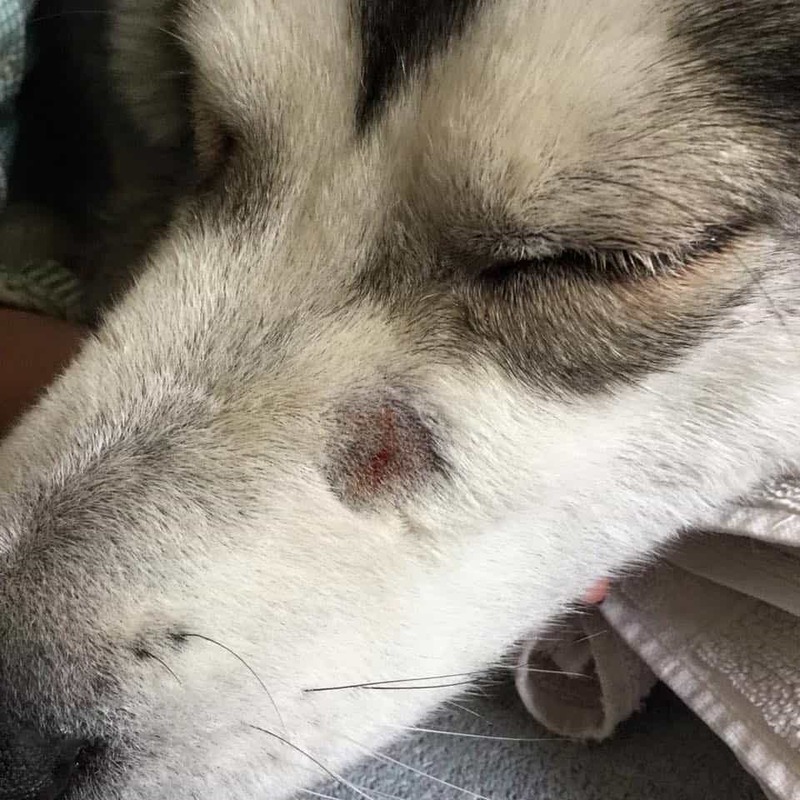 The treatment of snake bite depends on whether the pet HAS BEEN envenomated, what snake is involved and how severely the dog has been envenomated. It will involve a combination of any of the below depending on its state. IV catheter placement for fluids and a blood test for clotting factors. If the Clotting Test is prolonged, the patient receives IV fluids and either a venom detection urine test (if snake not identified) followed by appropriate antivenom, or a combined tiger brown antivenom. Multi brown anti-venom is cheaper than Tiger Brown anti-venom, so is preferred if the snake is confirmed as a brown snake. An initial normal clotting test we wait and repeat clotting test in 6-8 hours. If normal then, can be discharged, was not envenomated. NB/ This option may include IV fluids the client budget permits. Dr Philip Judge (Emergency medicine vet) advises that it is wise to keep snake bite cases in-hospital for 8-12 hrs and repeat neurological examinations and clotting profiles before sending them home. He has seen delayed onset clinical signs in a number of snakebite patients up to 6-8 hrs post envenomation – hence his recommendation for observation for this period of time and not to be in a hurry to rush home. 2: Patient walks in and is mildly symptomatic …. examination reveals it is weak, wobbly, ataxic, decreased throat gag, decreased pupillary (eye) response, dilated pupils, ‘lower motor neuron’ signs. In this case there is NO NEED to do a clotting test on arrival. If the snake is identified by the VET to be a brown, then Multi Brown antivenom is used. If the snake is not able to be identified then combined Tiger Brown antivenom is used. If the snake is identified by the VET as a Tiger then combined Tiger Brown antivenom is used. One to two vials may be used. IV fluids support is used, and the patient is hospitalised until all the above clinical signs resolve. Clotting times will be monitored, and referral for overnight care may be required. The patient is not out of danger until clotting is normal. 3: Patient is collapsed, has grey gums, may or not be breathing. This patient does NOT need a blood test. If completely paralysed this patient needs an airway placed FIRST, and control of its airway is required. It must be breathed for manually or mechanically if it is not breathing itself. The breathing is the MOST important part. Before any tests, before any conversations, before ANYTHING else. Then an IV Catheter will be placed…sometimes this may be needed first in order to allow sedation for airway control. 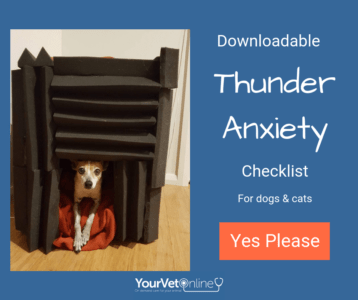 These dogs are conscious and can be panicking if there is any residual muscular ability. The patient is premedicated with a mild sedation to reduce risk of anaphylaxis to the antivenom, this is Vet preference. TWO vials of antivenom will be administered over twenty minutes, and high levels of IV fluids are given to counteract any physical shock or fluid losses from possible earlier vomiting and diarrhoea. The airway and support will be maintained until the antivenom is effective which may take several hours. Some patients will require mechanical ventilation. This is a specialist procedure. Most dogs will not require mechanical ventilation and our staff or the owners can breathe for the pet using the bag on the anaesthetic machine. (This is time and resource dependent). During this time a few additional tests may be performed depending on the clinical state and history of the dog. IF the dog has killed the snake and it has been left at home, the owner can go home, and carefully retrieve the snake for the vet to identify the snake. Colour and patterns on Tigers and Browns can be very similar at different ages, stages and locations. Owners are not always right in their ID. We look at the ventral scales behind the vent. If they are divided it’s a Brown snake, if they are single, it’s a Tiger. Cleverer vets than I can also ID using the snakes facial scales. If the snake is not available, and it is felt that further antivenom is needed, then a venom detection test can be performed. This is a commercially available kit that uses urine, ideally. It’s a test that can take up to twenty minutes to run, so you don’t use it if an animal is clinically affected without starting a multivalent antivenom first. Sometimes an ultrasound might be used to check the heart sac for bleeding, the chest for bleeding or the abdomen for bleeding. If we can obtain urine then we look for red cells versus pigment, and to ensure that we have diluted the urine significantly to protect the kidneys. This is particularly important with Tiger snake bites as the muscle pigment released can damage the kidneys. Once the patient can breathe on its own then they don’t need manual or mechanical support any more. As soon as they are able to drink and walk they are through the worst of the snakebite event. However, until any coagulopathy has fully resolved they ARE still at risk of a bleeding event. In the case of Tiger snake bites, some patients may suffer residual complications with their oesophagus or gullet, such as regurgitation. Once at this point, we will often refer to WAVES emergency and specialist care for ongoing fluids and clotting tests. This clinic will then perform the FINAL discharge when the patient is safe. Treating snake envenomated patients is expensive. Very expensive. Our most recent case (pictured) came in paralysed, not breathing and cyanotic, but with a heartbeat. She walked out, under her own steam, four hours later to go to WAVES for ongoing assessment of her coagulopathy and support overnight. Her bill, with us, was enough to buy a small, old, beaten up but driveable secondhand vehicle. That cost is made up of antivenom, drugs, fluids, professional services and intensive care. For most of the four hours she was with us, we did nothing but look after her. We needed to have a dedicated team to support her the entire time she was at our clinic. This means that more staff are required so that other patients aren’t neglected. In a small veterinary practice this can be very touch, but perhaps less so in larger multi-vet practices. When a dog comes in collapsed, with snake envenomation, Vets will immediately ask you about whether you able to afford treatment. We all know that you WANT to treat, but sometimes these sorts of costs can be prohibitive. We have to ask upfront because there is no time to waste. If, like most of us, you live paycheck to paycheck, please prepare in advance for a crisis like this, by getting pre authorisation for credit with a group like Vetpay or Zipmoney, and check that your vet is registered with them. Another option is to have a separate credit card that is ONLY used for this sort of crisis. Please don’t ask for credit from your vet, we are a business, not a bank. In our case, last year, we treated three dogs at once, two of whom had been envenomated (and saved them) for a desperate client who promised us the money. We saw half of it and are still chasing the balance. Like many vets, we are a small family owned clinic. We can’t do it, and it’s not fair to ask small businesses to fund these emergencies for you due to a lack of preparation on your behalf. We are vets, we love animals and we care for you, but we cannot be your bank. Oh, a final reminder…..and this is important …. If you find your dog, collapsed on the ground near a snake….and it (the dog) looks dead, remember that IF the dog has a heartbeat then it CAN potentially be saved. Remember these dogs are paralysed, NOT unconscious. They can hear you and know you are there. They can’t blink, they can’t move but they can hear and feel. If you act fast the might have a chance. Give mouth to nose resuscitation to keep oxygen in the system. Hold the dog’s mouth closed with your hand, place your entire mouth over the nose and blow, forcefully, every five seconds. The toxins don’t have a direct effect on the heart, but without oxygen, it will soon stop working and so will the brain. Has your dog or other pets received a snake bite and lived to tell the tale? Share your story below.